Our Campaign bed represents the finest example of the style available. The powerful lines, extensive handwork and exact proportioning have made our Campaign beds the benchmark of quality for more than a century. 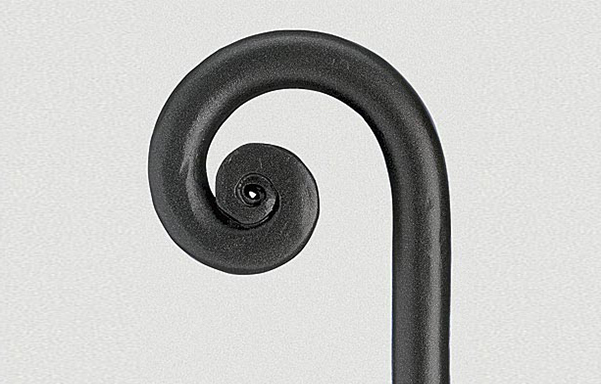 Hand forged and finished in layers for a unique luminosity. Height under frame from floor 7-1/4"
Review: "I am very happy with the product, because it is simple and classic. I saw the same product line at the Takashimaya bedroom display after I made my purchase, and got some great decorating ideas." 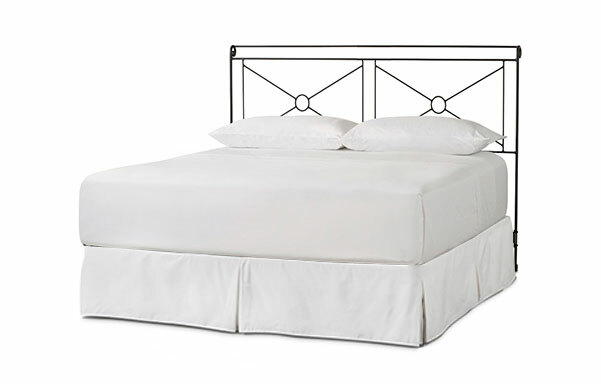 Review: "I love this bed and my husband does too. It is sturdy and sleek and a great addition to our Manhattan apartment. We love how quickly and professionally the delivery was as well. Very efficient. From the moment we walked into the showroom from the delivery, EVERYTHING was beyond our expectations." 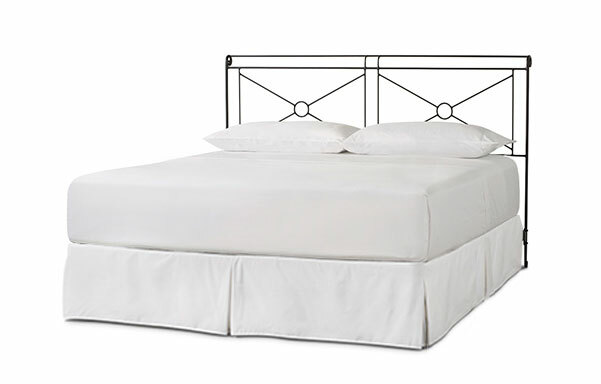 Review: "This is my third bed from Charles P. Rogers. My first was a daybed given to me in 1984 for my 8th birthday. My second one was given to me in 1998 for my college graduation present. And I purchased this one myself in a King for my husband and I. My first bed is still in use by the way - in my 4 year old daughter's bedroom. These beds are heirloom quality and last forever. I really love this Campaign bed - it's really stylish and solid. Assembly was very easy. I highly recommend it!" Review: "I've been wanting to buy this bed for years and finally was able to afford it. There was a mix-up in the billing part of my order, but when I emailed to complain someone contacted me immediately and arranged to have the bed delivered two days later to compensate me! I can not be happier - the bed is gorgeous and extremely high quality. I assembled it by myself and had no problems." Review: "Very Happy with the bed! Just what I was expecting,"
Review: "This bed is wonderful. I was nervous about ordering a bed that I had never seen in person. The bed actually turned out to look even better in person then it does online. The bed came faster then its estimated date of arrival and the delivery man brought it inside our from stairs. It took less then 20 minutes to put together. The bed came with the tools necessary to put it together and even came with touch up paint that we didn't need yet. The bed looks simply amazing." 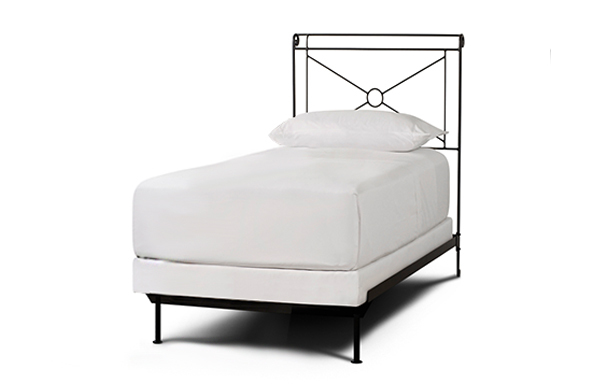 Review: "This is a fabulous bed --- great looking, sophisticated and very well made. It is my 2nd purchase, the 1st was the Rutherford which I also love. I work with Don and have never had any problems The bed was even delivered a day earlier than expected." Review: "This is the third bed I've purchased from Charles P. Rogers. However, this was the first bed I saw in a magazine several years ago and was the bed I always wanted. It looks great and I've had several compliments on all the beds that I have purchased. 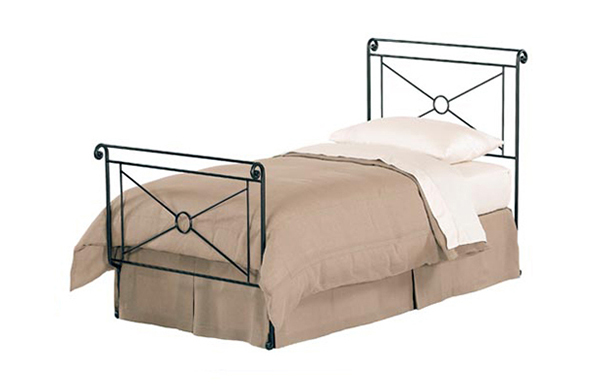 They are sturdy, unlike iron beds that you see in furniture stores. The first bed I purchased was close to 10 years ago and it still looks brand new. They hold up their beauty and will last for years." Review: "I LOVE this bed - ordering on line always seems a bit risky as I like to be able to see things in person. The company had good reviews and reportedly quality products so I decided to try it. This is a high quality, sturdy bed. So happy I finally chose one after looking for a long time!" Review: "The bed shipped quickly and arrived remarkably well packed, with all components and tools carefully marked and secured in the box. This made assembly quick and easy. After accidentally clanging the rails, I remember thinking "the only thing they forgot was touch-up paint." A few seconds later I realized a small bubble-wrapped packet I had set aside contained a fingernail polish-sized paint jar! Really a well organized and efficient company, and the campaign bed is light and graceful while sturdy and strong at the same time. We are really pleased." Review: "This is the third CPR iron bed I purchased and now refuse to use any others...my past wooden beds have not been durable compared to the iron. 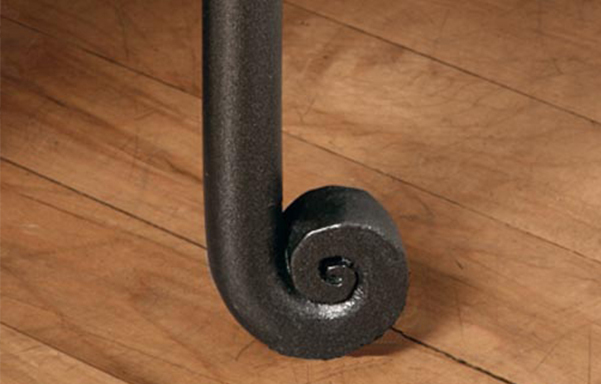 Iron matches all different wood species of furniture, decorating schemes, styles, and colors so you are never boxed in to a set design. If you happen to move a lot these beds are tough as nails. I really can't say enough about the quality...when I order a bed it is specially made for me almost like a piece of art! Thanks CPR!" Review: "This is my second Charles P Rogers bed ---I bought it because I was so pleased with the quality of my first and this one did not disappoint. It is beautiful, sturdy and is perfect for the space intended. There were a few minor issues with delivery but your staff was great in helping sort them out. Beautiful bed...great value! Barb"
Review: "What a great bed and I bought it on sale -- even better. The bed arrived with no problems and it was a snap to assemble. 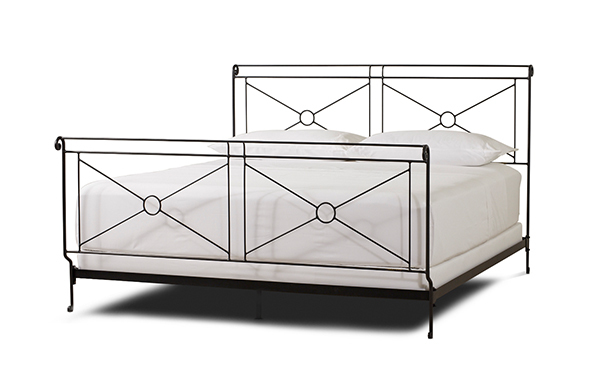 This is the second bed I've bought from Charles Rogers. I'm probably not going to need any new beds for a while, but I would strongly recommend their beds to any one. They are well built and look better in real life than in the catalog." 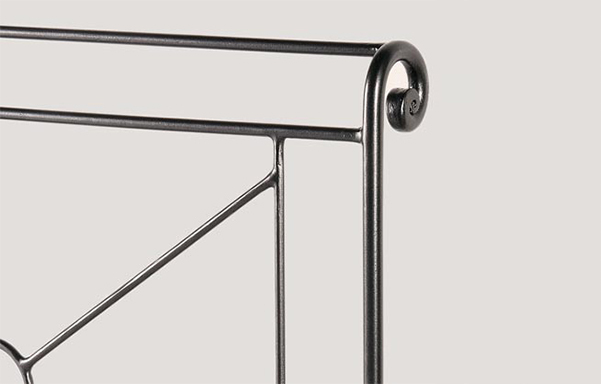 Review: "Once again, I'm delighted with the quality of construction of this bed. As an interior designer, I'm always searching for great style, quality and value. This is the third bed I've purchased from Charles Rogers and each one has exceeded my expectations!" Review: "I purchased the campaign bed over 13 years ago and I still love it as much as I did the day I bought it. It is very good quality and the design is timeless. My only regret was not purchasing the canopy style instead. I thought it would be too big, but this bed frame does not take up a lot of visual space. Only caveat: wait for a sale because you can get it for half price. I clearly paid too much; it is on sale now for less than what I paid in the late 90's. :( Oh well, I still love my bed!" Review: "Bed is beautiful. Great construction and materials. Service with Charles P. Rogers was also exceptional. From the folks on the phone dealing with order to the young men who delivered and set up. First Rate!" Review: "I love my bed! Great quality, and it looks great! I wanted to buy a bed and mattress from a company that specializes in beds. From the start, the sales people were very friendly, helpful, and followed up with my order, as promised. The delivery guys were prompt and professional." Review: "This is our second Campaign bed. For 15 years we had the full size (now in our guest room) and now have the queen as well. They're extraordinarily beautiful! The older one looks as new as the new one. A tremendous value for something so lovely."